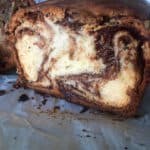 This Nutella Babka Recipe is my NEW favorite go-to recipe anytime I need something a little different to share or eat by myself, I’m not picky. Need an interesting yet delicious recipe for the random “breakfast potluck”, that “need to send something to work”, or that “make a special breakfast dish” occasion? 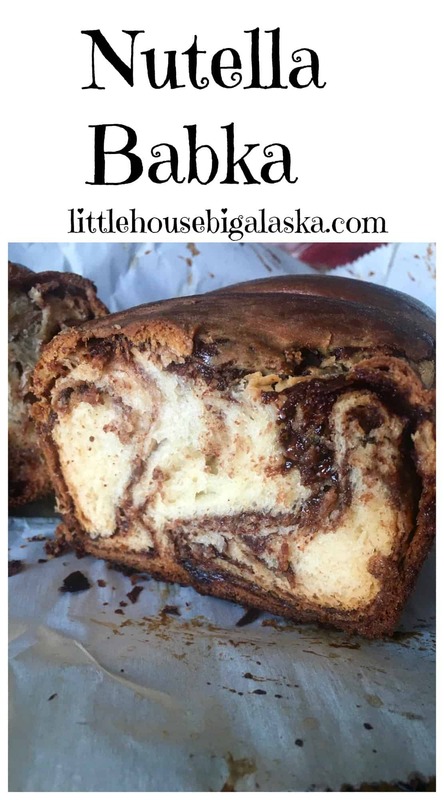 Try this babka Don’t let the longish list of ingredients spook you, it’s a wonderful dough to make, it’s easy to roll out, you can make it ahead of time and it’s fantastic served hot or cold. What are you waiting for? 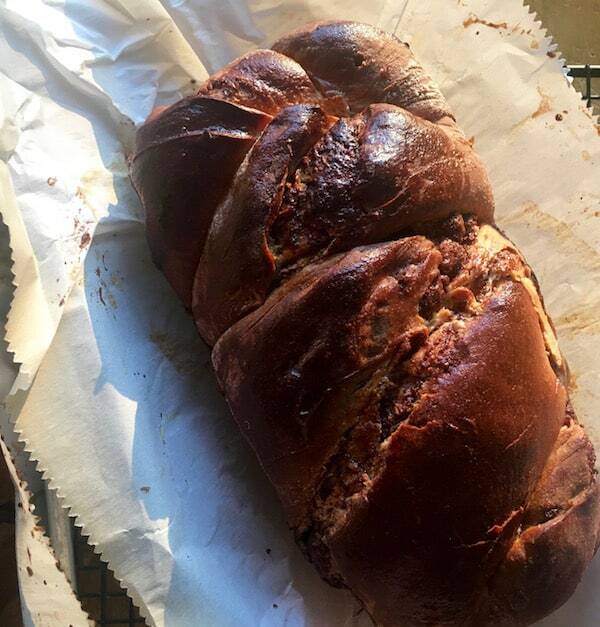 Get some Nutella and make this beautiful bread, your family will love you for it. I have a few other recipes that would be good for random potlucks. Try my Orange Millionaire Bars, they’re unique and you get a whole pan out of just one batch! Or bake a pie! No one expects a pie for a potluck which is why it’s such a great idea. My Pecan Pie without Corn Syrup is a crowd pleaser! Or if you’re looking for a quick savory dish to make check out my Easy Chile Verde Recipe, you can’t beat it for quick and easy! 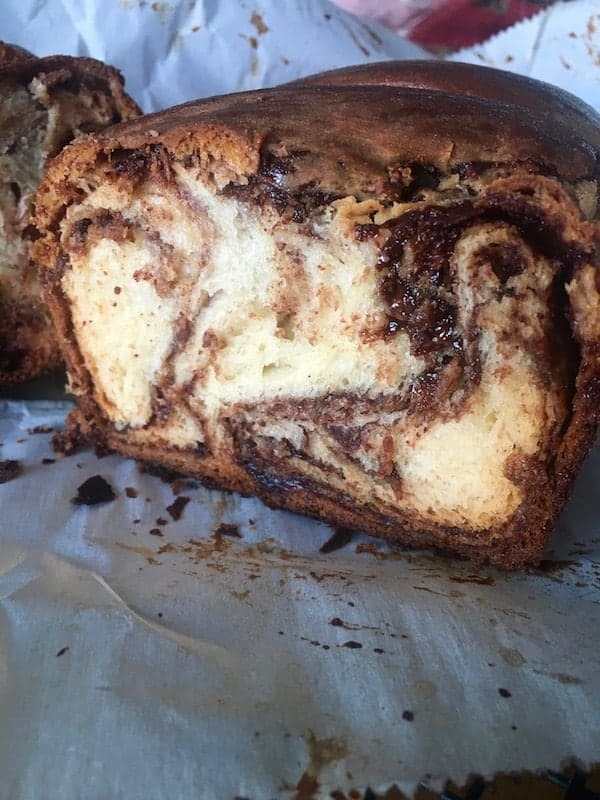 Nutella Babka is my NEW favorite go-to recipe anytime I need something a little different to share, or eat by myself, I'm not picky. Two more words – serious YUM! This looks so good! HA! You’re right I totally forgot those two!! I always thought a babka was hard to make, but with all your steps, it looks do-able! I will definitely have to try! Yum! Me TOO! I was surprised when I found out it was SO EASY! I’ve never had Babka, but ever since I saw that Seinfeld episode, I’ve been wanting to try it. Now I have a great recipe so I can make it right at home! This sounds absolutely heavenly…just another excuse to break out the Nutella!